Professional, affordable window cleaning services. 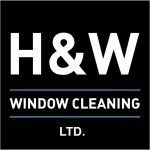 H and W Window Cleaning Ltd are professional window cleaners operating in Harrogate, Wetherby and surrounding areas. We provide quality window cleaning at affordable prices to homes and businesses on a one-off basis or as part of a regular, ongoing service. We have invested in the best window cleaning equipment to ensure consistently great results for our customers with sparkling clean, streak-free windows after every clean. We use heated pure water cleaning systems combined with long reach water fed poles that mean we can clean windows several storeys high in flats, apartment blocks and offices. *We also provide internal window cleaning to customers using traditional window cleaning methods by hand. *Please book in advance if this service is required. We provide professional, affordable gutter cleaning using poweful SkyVac gutter cleaners for the most effective gutter clearance available. Our other services include conservatory cleaning, fascia and soffit cleaning, end of tenancy cleans and builders cleans.